All of these features are integrated together to produce a controller like no other. 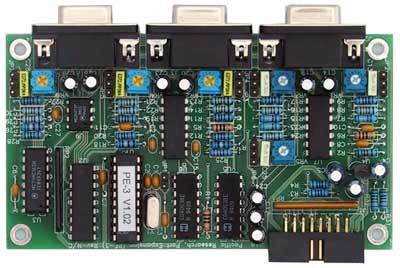 Our controllers include many other user programmable features, which allow you to completely customize the controller for your application. Hang time, time out timer, courtesy tones and CW ID intervals are all programmable. Our controllers also include a user and macro command editor. You can create and assign a 1 to 5 digit name for your own custom user commands. These controllers come preprogrammed from the factory with user commands to quickly get you started. We currently produce three series of controllers. 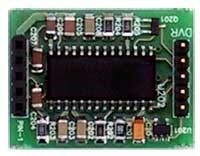 The RI-1 which is a low cost simple controller for application that require station ID, Timers, Courtesy Tones and Custom User Commands. 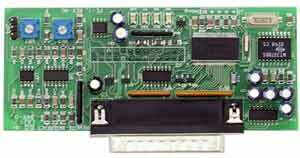 Second, the RI-200 series, which is a basic repeater controller with all of the necessary features to build a superior repeater. Third, the RI-300 series, which has many enhancements over the RI-200. These include speech, dual programmable tone encoder, eight channel audio buss along with many other enhanced features. 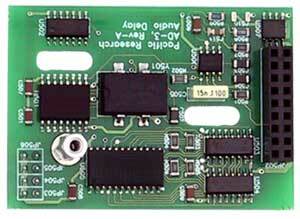 Within these series of controllers, we also produce various port add on modules. There are so many features to our controller, that you may find it easier to download the DEMO version of the programming software to get a visual of the features. 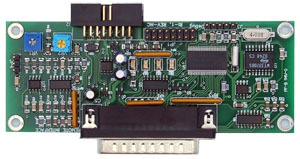 PE-1 Single Port Expansion for RI-300 that can operate completely independent from the RI-300. 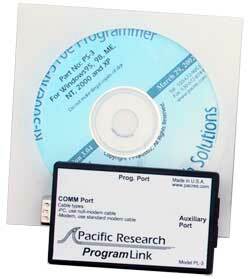 PK-3 Programming Kit for the RI-300, RI-310, RI-1, and PE-1. because of the number of distributors and countries where our products are sold.